Union Minister Arun Jaitley, who is in the United States for treatment of a medical complication, praised the Interim Budget 2019 and Finance Minister Piyush Goyal in a series of tweets. Congratulating Goyal for delivering “an excellent Budget”, Jaitley said that it marks a “high point in the policy directions” of the Modi government and furthers the government’s agenda to address the challenges of the economy. “The Budget is unquestionably Pro-Growth, Fiscally prudent, Pro-Farmer, Pro-Poor and strengthens the purchasing power of the Indian Middle Class,” he said. Jaitley added that the Budget expands spending while pragmatically sticking to fiscal prudence. “The future vision is to make India a Five Trillion Dollar economy. By the middle of the next decade we will achieve this and thereafter, target doubling that size of the economy,” he said. Underlining the economic reforms undertaken by the ruling government, Jaitley said that they have “unshackled Indian economy, unleashed its potential and made us a global leader in growth”. Hitting out at political opponents who allege that the government has failed to create jobs, Jaitley said that if it was indeed so then there “should have logically been a great social unrest in the country”. “Past five years have passed off without a single major protest movement,” he said. 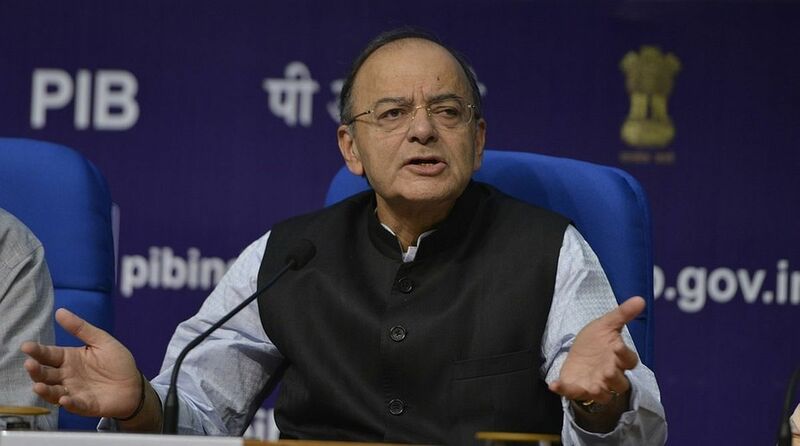 Further praising the Interim Budget, Jaitley said that in a “calibrated move, those in the income bracket of Rs 3 to 5 lakhs witnessed their tax liability being halved from 10% to 5% and today this category has been completely exempted”. “GST has already brought down most taxes on goods from 31% tax to the 18%, 12% and the 5% bracket. Never in the history of India during the five year tenure of a Government we have witnessed tax reduction and a Middle Class relief of this magnitude,” he said.